Having problems with movie and music files not compatible with your iPod? 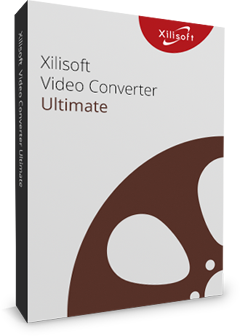 With Xilisoft iPod Video Converter, you are now able to watch popular video formats such as AVI, MPEG, WMV, DivX, MKV, MOV, RM, and VOB, or listen to MP3, M4A, AAC, WAV, WMA, MP2, AC3, RA, and APE audio files on your iPod or iPhone. Equipped with extensive features, the iPod Video Converter allows you to split file by preset size or time, set multiple output formats on one file, or transform a file into a preset size to fit your iPod. The iPod video converter can easily convert AVI, MPEG, WMV, DivX, MOV, RM, VOB and such video formats to iPod video MP4, or convert to iPod music MP3, M4A, WAV from multiform audios like MP3, WAV, WMA, RA, OGG, AAC, AC3, MP2, and then enjoy! 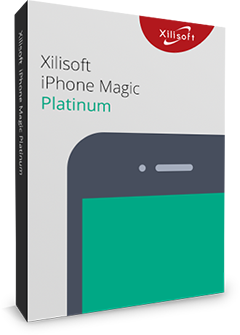 After conversion, Xilisoft iPod Video Converter also can transfer the outputted files to iPod automatically, easy and fast. Detecting CPU automatically and supporting multi-core CPU for each task, this iPod video converter offers you the highest video to iPod conversion speed. You will gain 5X conversion speed in this iPod video converter with NVIDIA CUDA & ATI Stream acceleration technology. Stop wasting time to set one format and click to output, and repeat and repeat, now just set diverse profiles for one source simultaneously to convert to iPod videos and music in one step using this iPod video converter. The output files can be optimized in a size that plays best for your iPod: split one file into several by setting split time or size, or customize the file size accurately using the Bitrate calculator tool. It's simple to only convert the segment you want with this video iPod converter: just set the start point and duration as you wish to remove the unwanted for output. Divided into general and advanced settings for iPod video and audio conversion, all the settings are convenient for anyone: novices can just keep the default, while pros can adjust the advanced and even expert-level settings freely to meet multiple needs. Ability to transfer the outputted files to iPod directly after iPod video conversion. Concise interface and batch conversion supported in this iPod video converter make your iPod video conversion easier and quicker. You're allowed to run this iPod video converter in background to lower its priority and get more resources to run other programs. Action After ConversionSet an action (hibernate, standby, shutdown or exit) and let the software do it automatically after a conversion is done, so you need not waste time waiting for it. Preview and SnapshotPreview video files with the built-in resizable player with 4:3 and 16:9 zoom modes (which can also used as a stand-alone player) ; take a snapshot of a scene you like and save as picture file. Allows you to manage your system power in this iPod video converter. Changeable Interface LanguageChange the language to German, English, Japanese, Spanish, French or Chinese.